Primer Factory is a primer design and primer search tool. 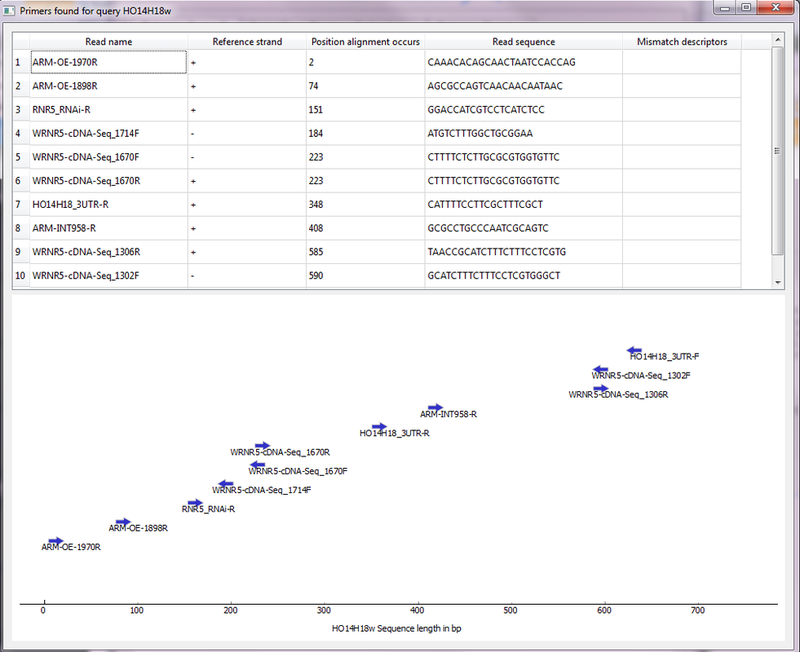 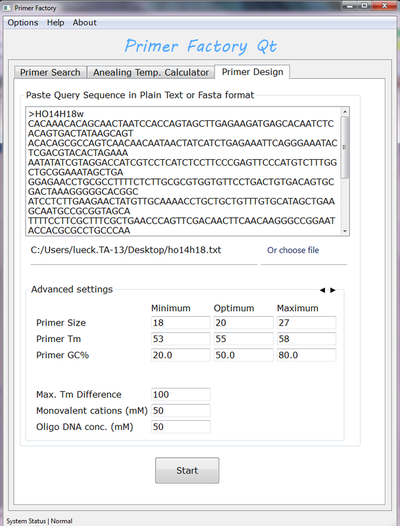 It provides a convenient interface for the widely used command line software Primer 3 for designing PCR primers. 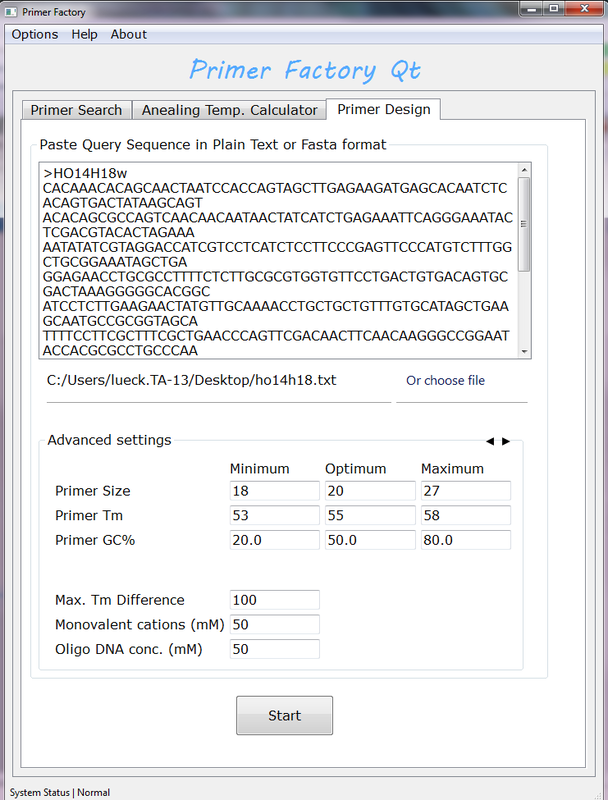 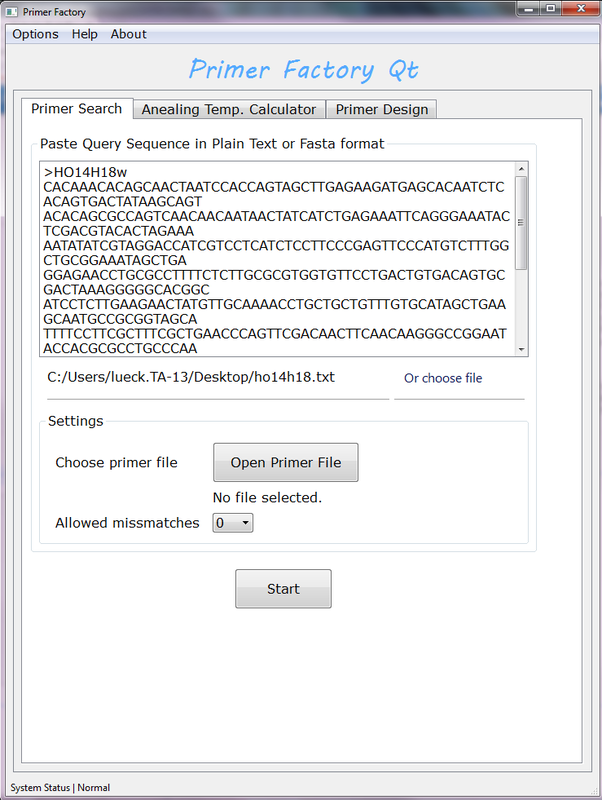 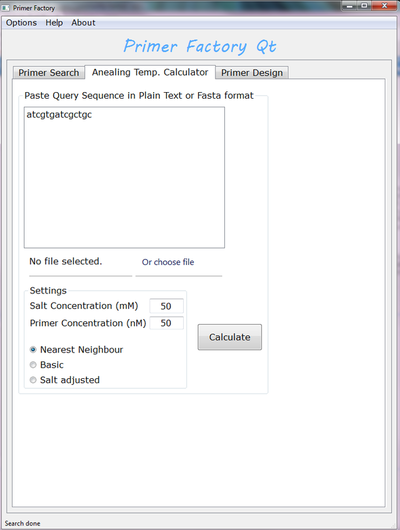 PrimerFactory also can search by target sequence query in a primer stock database for matching primers that may eventually be reused instead of designing and ordering new oligonucleotides.